Digital Marketing has changed the whole face of marketing. With the extension of modern technologies and dominance of Digital Marketing, businesses are slogging to match up with the pace. As the maximum amount of information is consumed by the people through online platforms, it makes digital marketing the best way to reach out to the targeted audiences. Nowadays, a lot of businesses are either adopting digital methods for their plans of action or boosting existing marketing strategies with digital advertising techniques. Below are top 5 trends which you should definitely follow in 2018. 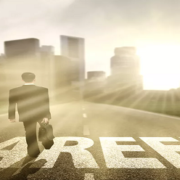 Content Marketing is getting popular with every passing second. 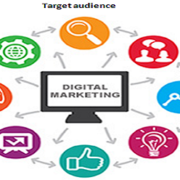 It is becoming one of the most used digital marketing tool for every business. 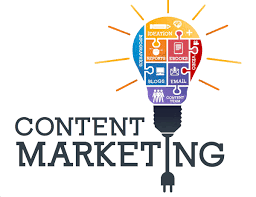 Content Marketing is creating and sharing valuable, relevant and free content to draw interests and transforming views. 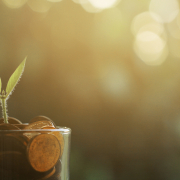 Content marketing is rapidly being used to attract and procure a distinctly defined audience with a purpose of running profitable customer response. The kind of content you share is almost related to what your business is about or what you want to sell, it is basically letting people know, like, and believe you fairly to do business with you. The company’s “Share a Coke” 2015 summer campaign was one of the best-performing marketing campaigns in Coca-Cola’s history. This marketing strategy bought out the company’s iconic logo on 24 bottles for 250 of the country’s most popular names. Essentially, consumers had the chance to have a generic name, such as “David,” printed on Coca-Cola bottles and were encouraged to share those bottles with friends and family. Coca-Cola was able to create massive amounts of social media content by precisely targeting consumers who use social media to share photos and stories. The company gave full creative control and brand ownership to these consumers, prompting people to feel like they were not promoting the Coca-Cola Company online so much as they were starting their own social media conversations. 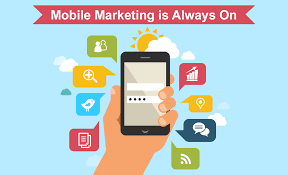 Mobile marketing has become one of the most in-demand strategies of digital marketing, which reaches the target audience on their smart-phones, tablets, and/or other mobile devices, via websites, email, SMS and MMS, social media, and apps. From emailing to visiting your website, it is all accessible on your mobile phone. Mobile marketing has taken up the market by a storm. In our day to day life when we see around us most of the people are indulged in their phones either checking their emails or on social media. 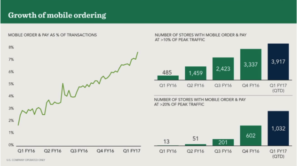 Mobile will continue to be a top priority for marketers for years to come. 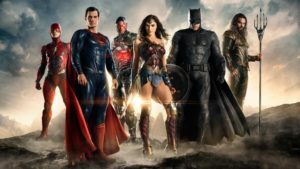 Hollywood blockbusters often prefer multi-channel advertising campaigns, but the Justice League did something out of the box. They Teamed up with brands like Mercedes and AT&T, the film’s producers offered simple experiences, behind the scenes and looks. They launched a free mobile app called Justice League VR: Join the League Gillette Edition was introduced to build on TV and cinema spots linking the film to the shaving brand. They also used Google Cardboard and similar technologies and offered users the chance to play their part in the superhero team. Video content is the most eye-catching content all over the social media. Whether you are marketing your business on Facebook, Instagram, Snapchat, YouTube or Twitter, it seems like social video engagement is reaching out to the top in 2018. 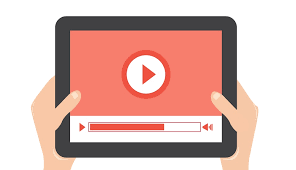 Video helps to get your point across faster and sends out a more convincing message which can improve sales. The viewers watch a billion hours of video each day on the Youtube and Facebook. It is better to get started posting more videos content per month. No matter you do a Facebook Live, YouTube video or a video for your website, what matters is to get into the habit of producing quality video content for your customers. 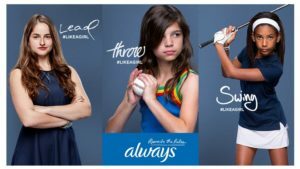 Always #LikeAGirl generated much global awareness and changed the way people think about the phrase ‘like a girl’, reaching more than 85m global views on YouTube from 150+ countries. The chatbot is a computer program that imitates human conversations in its natural format including text or spoken language using artificial intelligence techniques. Chatbots are used for customer service issues, engagement and general questions. 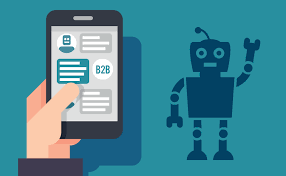 The presence of chatbots was always been there but was not that evident, but now more and more brands are using chatbots for customer services. Chatbots are giving better results now than ever before and engaging more audiences to the website. Starbucks made it really easy to place an order your favourite drink or snack through the Starbucks Mobile App. The customers would be able to place their order through voice command or messaging interface, chatbot is also helping in retaining, improving customer loyalty and engagement. Once you are done placing the order the chatbot will tell you when your order will be ready and the total cost. Marketers should not ignore the trend of the stories all over the social media. The concept of “stories” was basically invented by Snapchat and now it has become a become the foremost part of the social media world. 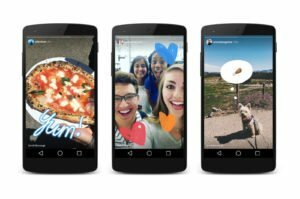 After Snapchat, Instagram came up with its new feature of Instagram Stories, and now YouTube has released a stories format of their own called “Reels”. 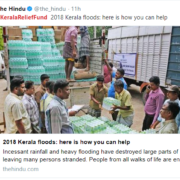 Now even WhatsApp and Facebook have joined the same category, it is the time to make stories as an important part of social media marketing. Similarly, Maybelline used the Instagram story for their first video campaign for their a new line of Mascaras that featured influencers, Manny Gutierrez and Shayla Mitchell as the stars. These two are the most reputable makeup artists on Instagram both Gutierrez and Mitchell share a combined Instagram following of 5.1 million followers and a YouTube subscribership of 2.5 million, that is actually a huge count. This resulted in a great strategy since the face of an influencer sells always better than a simple image of a product. 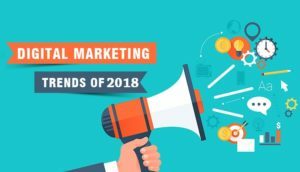 All the above trends will change the complete structure of social and digital marketing in 2018. 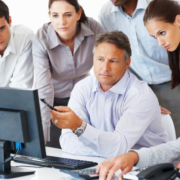 If you want to grow your business and its reach you would need to update your strategies according to the new trends and desires of the consumers.